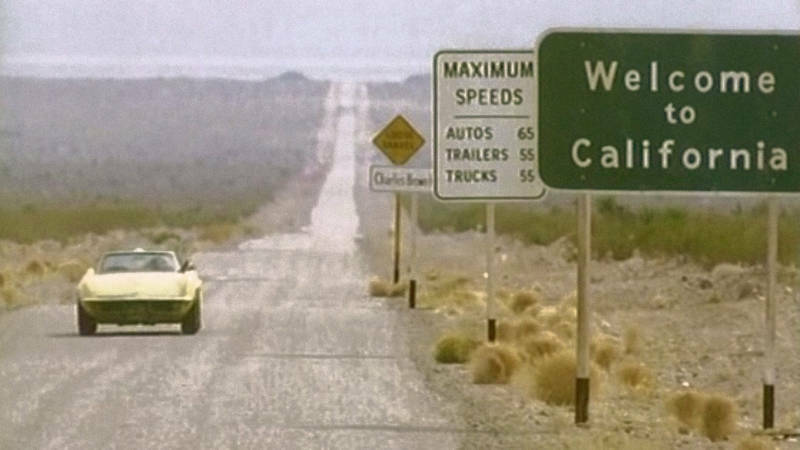 Still from 'Play It As It Lays,' 1972. 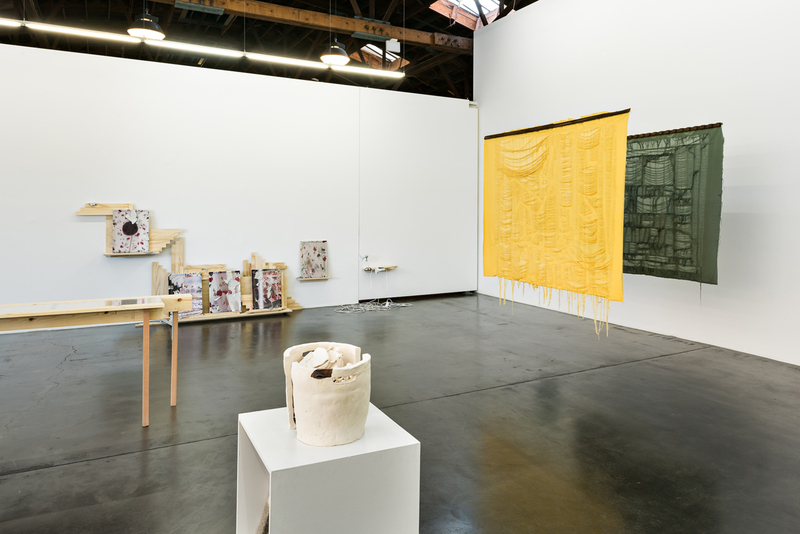 A dreamy exhibition at the Potrero-area gallery fused space, curated by Margaret Tedesco of 2nd floor projects, gathers paintings, sculpture, video and textile work under the title of the third set of essays in Joan Didion’s classic California collection Slouching Towards Bethlehem. Seven Places of the Mind includes mostly local artists in a show that seems to be about Los Angeles (a free-association list of LA streets, people and works of art graces the press release). But those artists' works point to a theme of deconstruction, which, given Los Angeles’ predilection for shaking under one’s feet, might also be about Los Angeles. Some works manifest the process of breaking something down and rebuilding it as a tangible support structure: Nicki Green’s ceramic pieces utilize kiln bricks and shelves from Peter Voulkos’ former kiln at UC Berkeley; Ajit Chauhan erases record covers to create lines of concrete poetry. In Rebeca Bollinger’s installation, a complex plywood armature holds a collection of cork boards bearing floral patterns and globs of poured aluminum. Other artworks reuse materials or re-present familiar objects in some way, but do so without a tether to any known predecessor. Léonie Guyer’s work (also on view nearby at the Wattis Institute), read like a Rorschach tests, or symbols with meanings you can’t quite put your finger on. Catherine Fairbanks’ Chimney Sculpture 4 stands in the gallery entryway made entirely out of papier-mâché and, notably, without armature. It’s a pleasing puzzle of a group exhibition, one that rewards the senses with a variety of textures, mystery materials and invitations to get low, look close, and like they did in the days of Didion’s essays, expand one’s mind. 'Seven Places of the Mind' is on view at fused space (1401 16th Street, San Francisco) through Jan. 25, 2019. Details here.